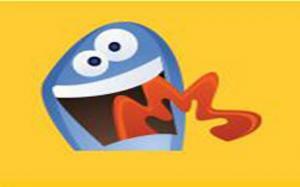 Listening to tongue twisters is one way to improve your English pronunciation. It's very difficult to say tongue twisters in English so don't worry if you can't do it very well at first, just have fun with this site from the British Council. Practice your pronunciation skills with this game and create new rhymes. Drag and drop the correct rhyming words in the right order. Listen to the audio to check you have got the rhyme and sense of the verse right. Enjoy this fun poem game. 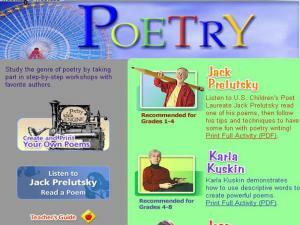 Answer questions related to a variety of poetry verses. Read the verses carefully and think about the mood of the poem and what is being described. Learn about metaphors, similes, alliteration, rhyming and other important English terms that are often used in poetry. You can also press play and listen to the verses line by line as well. 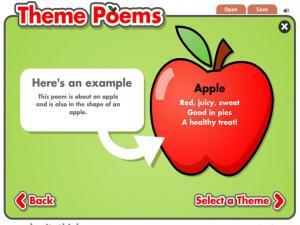 Have fun writing your own Theme Poems with this interactive resource. Select a theme and a shape for your poem, then think of some words that remind you of the shape. 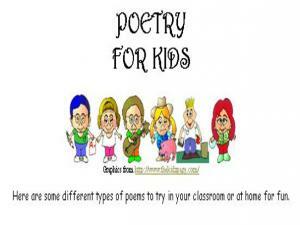 In this lesson you learn all about poetry and how different people can read the same poem but feel different things. You will also be taught about rhyming words and alliteration. What do you think the poem is about and how does it make you feel? 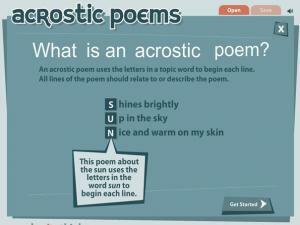 Do you know what an acrostic poem is? Use this resource to learn about this type of poem and write your own. This is a really fun game! Help the wizard find the dragons lair by using 3 'poetry potions' - Rhyme, Alliteration and Rhythm. 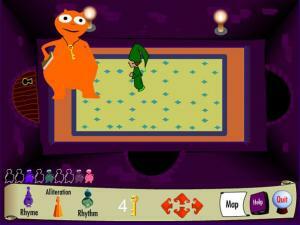 Click the arrows to move the wizard through the rooms and doorways. Be careful of the goblins. Match the potion with the poetry they read and turn them into pigs and grab the key before they can say their curse. Make sure you use the map to see where you are, and where to find the next key! 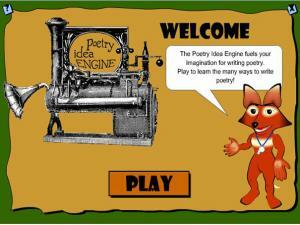 Play the Poetry Idea Engine to learn about different types of poem (haiku, limerick, quincain and free verse) and how to write your own. How many different poems can you create? 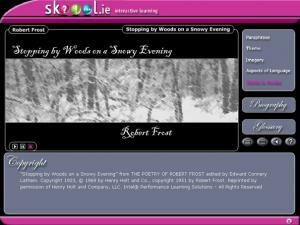 Read this poem by Robert Frost and follow the lesson tutorials on different aspects of the poem (structure, theme and imagery). There is also a biography about the author to see where his influences for his poems might have come from. There are no tests to do. This is a reading appreciation lesson and learning about the structure of poems to use in your further reading. Do you want to learn how to write poetry or how to improve as a poet? Would you like step-by-step advice on how to get poetry ideas and turn them into poems? 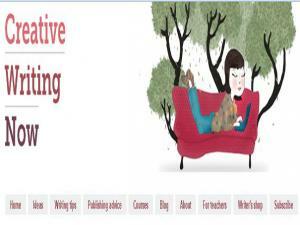 Use this site to find out about writing poetry and how to start producing your own creative writing. Study the genre of poetry by taking part in step-by-step workshops with favorite authors. Pick your ability and go through the exercises and tips from the authors to help you turn your words and ideas into descriptive and powerful poems. 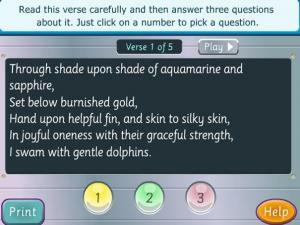 There is audio so you can listen to the example poems as well. Here are some different types of poems for you to learn about and practice. 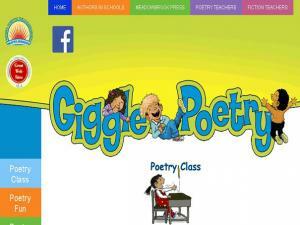 The site covers up to 16 different styles of poetry and lots of links to read more examples for each one.